Baha Tuncer joined Batelco Bahrain as CFO in September 2017 bringing extensive financial management experience in telecommunications, corporate finance, auditing, mergers and acquisitions, and business transformation, gained over 25 years, with particular focus on customer oriented strategies for value generation and operational excellence. 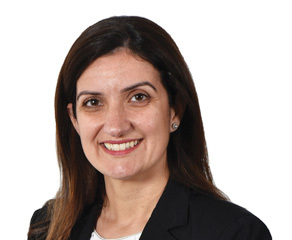 Previously, Baha held a variety of senior finance roles within leading global organizations, including CFO at Vodafone Portugal, Head of Finance at Vodafone Group in the UK, Head of Finance at Vodafone Turkey, CFO at Lifecell Ukraine, and Director of Corporate Finance Financial Audit for Siemens North America. Baha holds a Bachelor Degree in Business Administration from Bosphorus University, Turkey, and also completed Financial Executives Programme by Marshall School of Business at University of Southern California. He is a Certified Public Accountant (California, USA) and a Chartered Global Management Accountant.